New fast four-channel CAN HS interface to PCI Express - MACH SYSTEMS s.r.o. 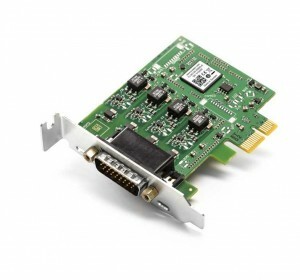 Kvaser AB introduced a new CAN interface card, Kvaser PCIEcan 4xHS with 4 CAN High-Speed (HS) channels. The interface has a very small footprint (86 x 69mm) and very fast message and response times. Thanks to Kvaser’s CAN IP FPGA implementation, an average response time is mere 45 us. This makes this card the fastest Kvaser product so far. The interface is CAN-FD ready and the new protocol will be supported via firmware update. More information available on Kvaser PCIEcan 4xHS page.